What turns the continuous flow of experience into perceptually distinct objects? Can our verbal descriptions unambiguously capture what it is like to see, hear, or feel? How might we reason about the testimony that perception alone discloses? 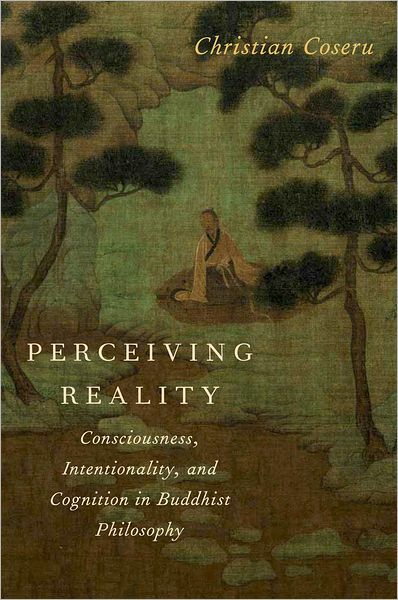 Perceiving Reality: Consciousness, Intentionality, and Cognition in Buddhist Philosophy (OUP, 2012) was nominated for the American Philosophical Association Younger Scholar Book Prize in the Spring of 2013. Perceiving Reality examines the function of perception and its relation to attention, language, and discursive thought, and provides new ways of conceptualizing the Buddhist defense of the reflexivity thesis of consciousness-namely, that each cognitive event is to be understood as involving a pre-reflective implicit awareness of its own occurrence. The book advances an innovative approach to Buddhist philosophy of mind in the form of phenomenological naturalism, and moves beyond comparative approaches to philosophy by emphasizing the continuity of concerns between Buddhist and Western philosophical accounts of the nature of perceptual content and the character of perceptual consciousness. Evan Thompson,"Introduction to Symposium: Perceiving Reality: Consciousness, Intentionality, and Cognition in Buddhist Philosophy, by Christian Coseru"
Laura Guerrero, "Buddhist Naturalism Conventionalized: A Critical Review of Coseru's Perceiving Reality: Consciousness, Intentionality, and Cognition in Buddhist Philosophy"
Matthew MacKenzie, "Self-awareness, Intentionality, and perception in Coseru's Perceiving Reality"
Anand Vaidya, "Dharmakīrti, Śāntarakṣita, Kamalaśīla, and Husserlian Phenomenology: A Questions Concerning Compatibility"
Christian Coseru, "Perception, Particulars, and the Range of Phenomenal Consciousness: A Reply to Critics"